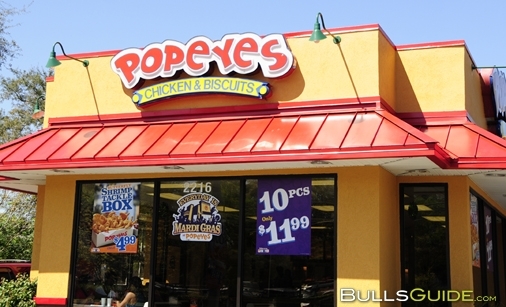 I recently made the connection that the CHURCH‘s and POPEYES (POPE-YES!) 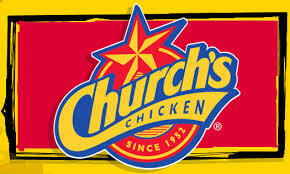 fast food CHICKEN (CHICK+HEN) chains relate back to the CHURCH and RELIGION. Upon doing some research, I found out that the two used to be sister stores. “The CHURCH by the Sea” (a.k.a. 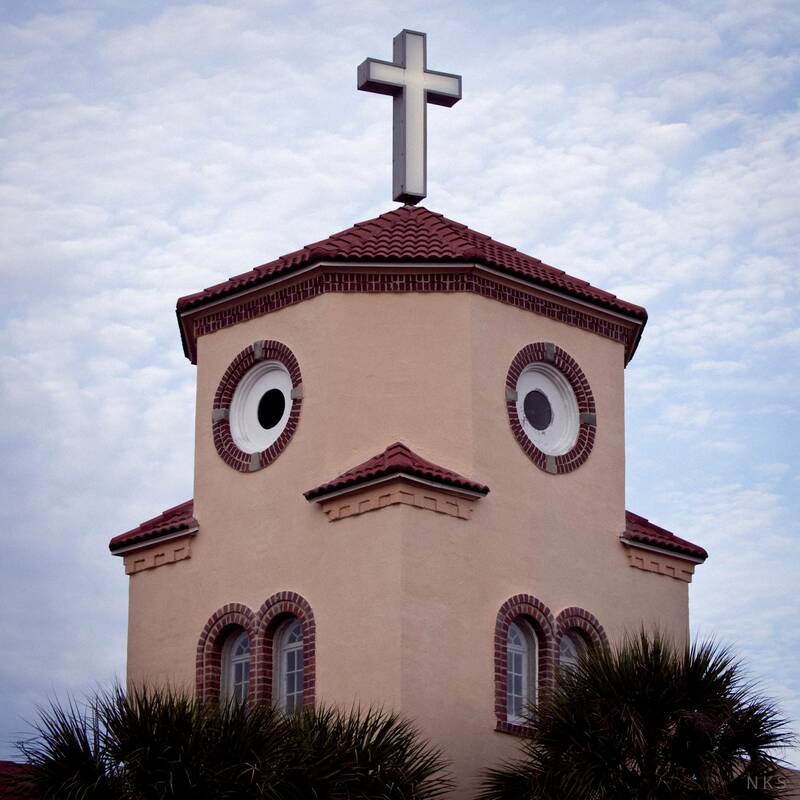 the “CHICKEN CHURCH“) resembles a CHICKEN. It’s located in Madeira Beach, Florida. 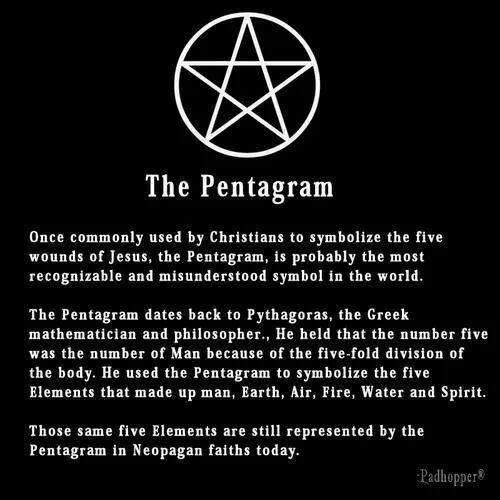 In the photo below, the pentagram (star) is placed perfectly over the UR which is aligned directly over the CHI. As we have learned from a previous blog post, UR was an important Sumerian city-state in ancient Mesopotamia. The city’s patron deity was named SIN (in Akkadian)–the Sumerian and Akkadian moon god. When one goes to CHURCH, they want to be forgiven of all their SINs. CHI is another word for energy or life force. Notice how the ‘POPE‘ is clearly separated from the ‘YES.’ Should we say YES to the POPE, or should we say NOPE? 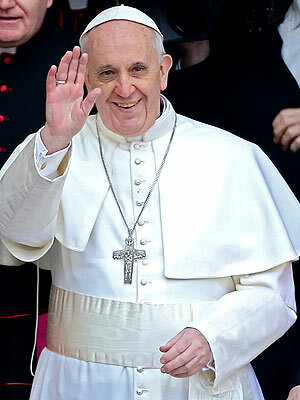 Say YES to POPE Francis! 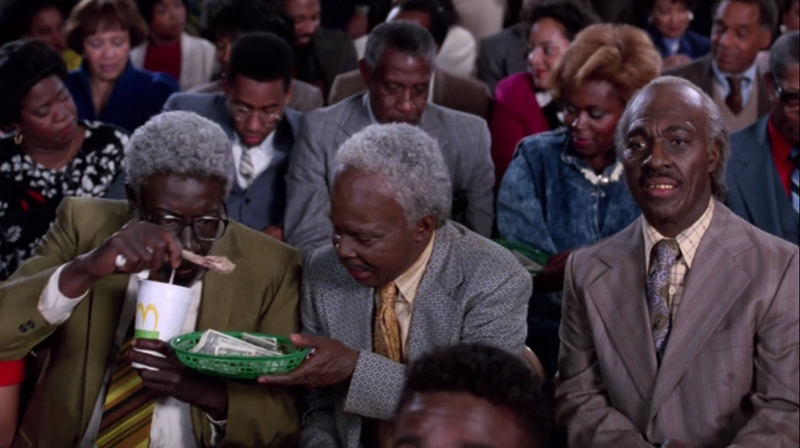 In Coming to America, one of the characters (“Morris,” played by Arsenio Hall) thinks the CHURCH‘s donation basket is the trash, so he puts CHICKEN bones in it. 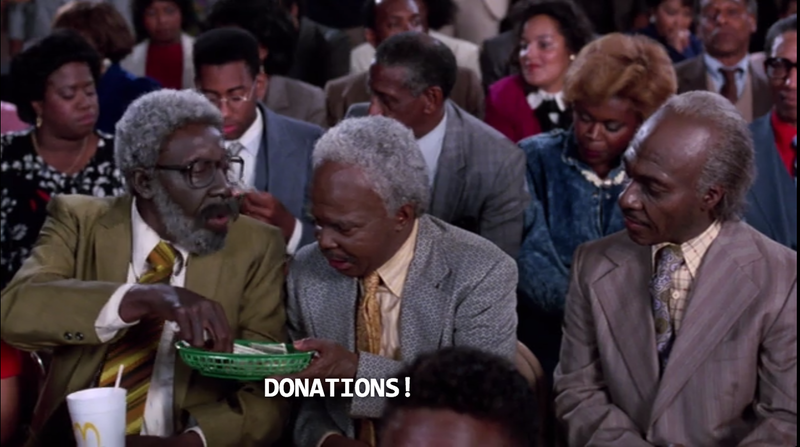 The donation basket resembles something you’d have fried CHICKEN served in. 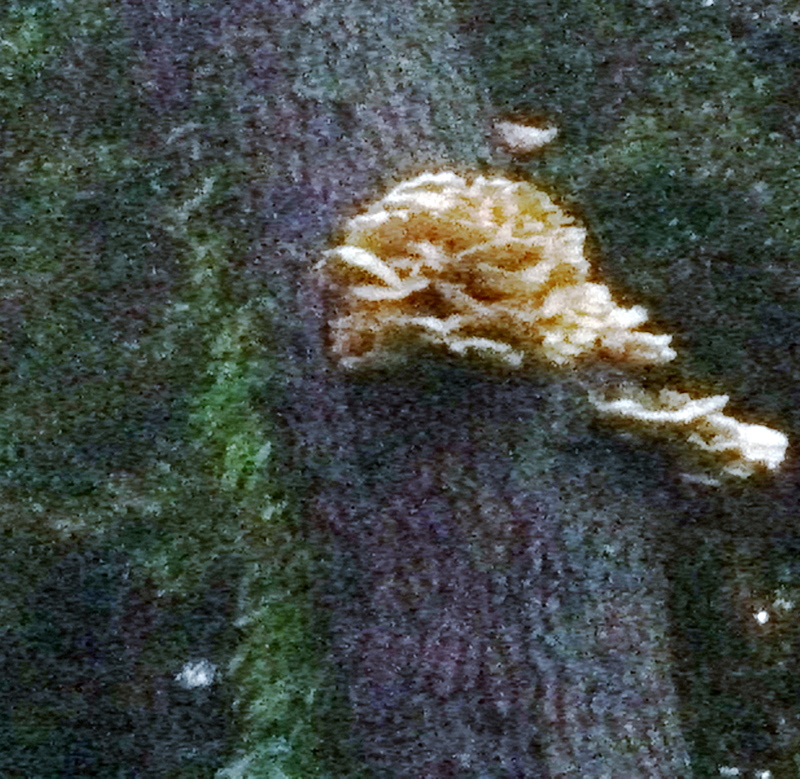 “CHICKEN of the woods” is an edible mushroom. Many people think it tastes like CHICKEN. 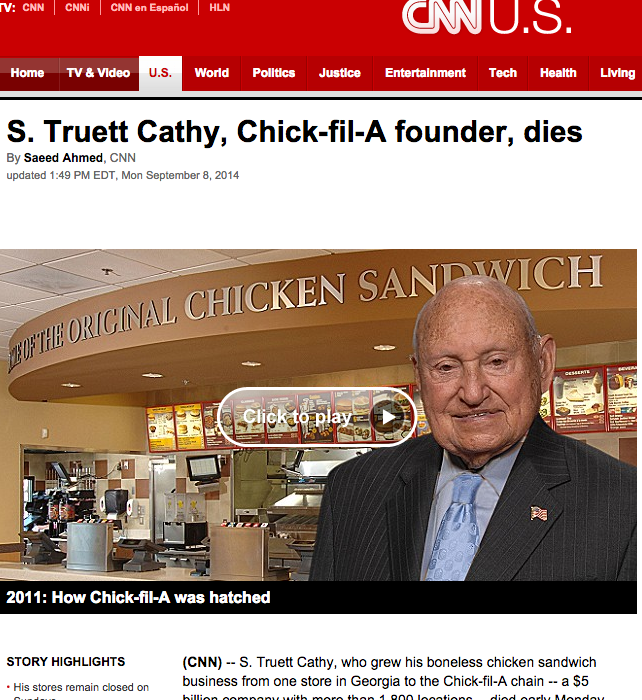 Syncing into this all so perfectly, the Chick-fil-A founder S. Truett Cathy (with initials adding up to 42) passed away yesterday (September 8, 2014). 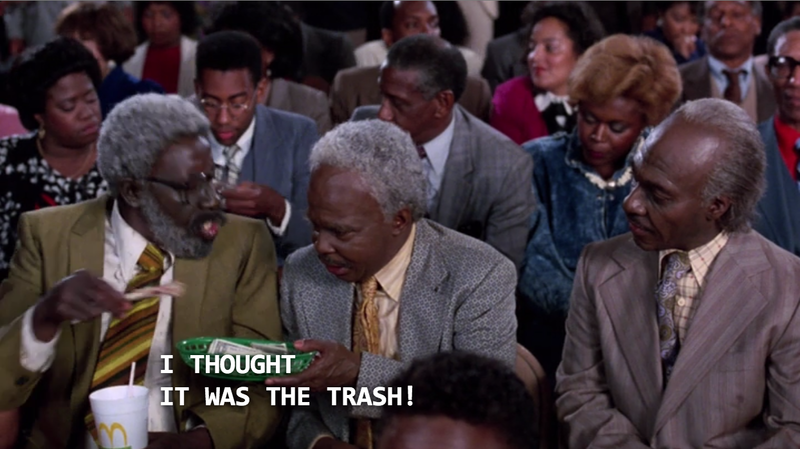 He was born on Pi day (March 14, 1921 or 3.14). 3 x 14 = 42. Deeply RELIGIOUS, when he opened his first store, he vowed that it would stay closed on SUNDAYS. That policy still stands today. What’s really strange about the death of STC, is that I was actually working on this post days before he transitioned.